Body Armor is an exploration of how feminine beauty has been the main avenue through which women could gain power under the patriarchal society in America. 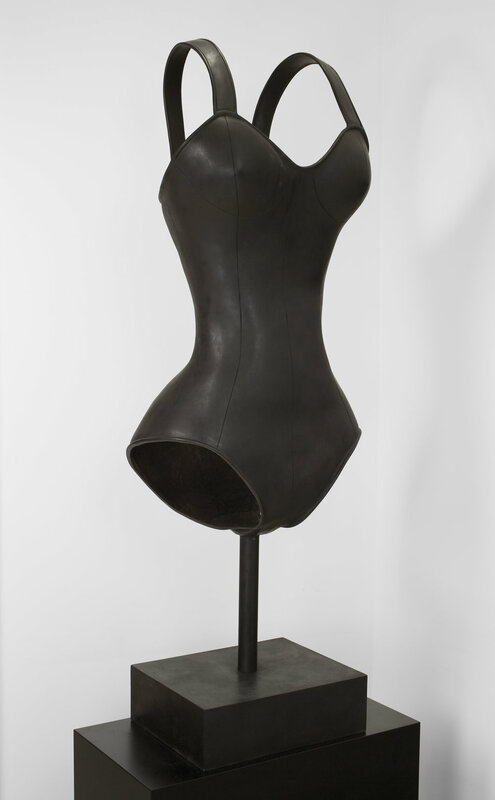 The artist’s Body Armor sculptures present imposing, larger-than-life bathing suit forms in the shape of an idealized female body. 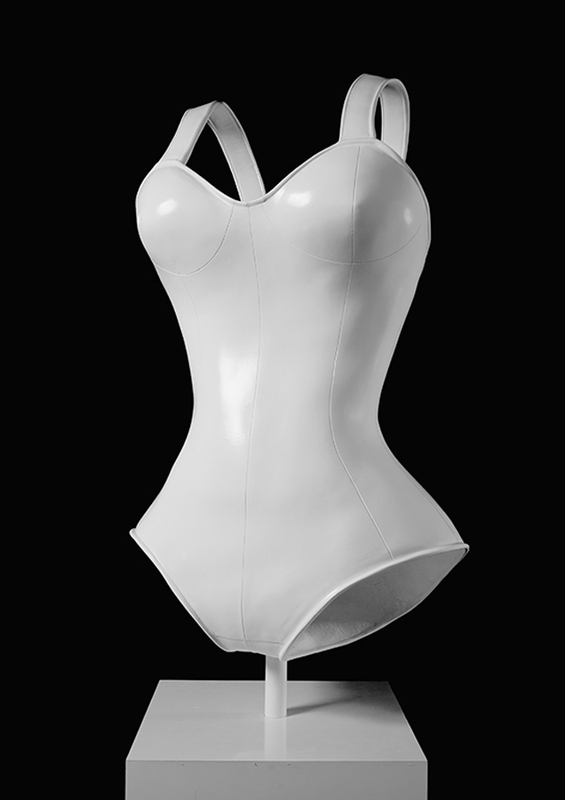 Forged from bronze, the works draw a parallel between medieval battle armor and the bathing suit, an article of clothing often associated with pageantry. In these works, the bathing suit armor serves as a reminder that culturally, a woman’s power comes largely from her beauty.